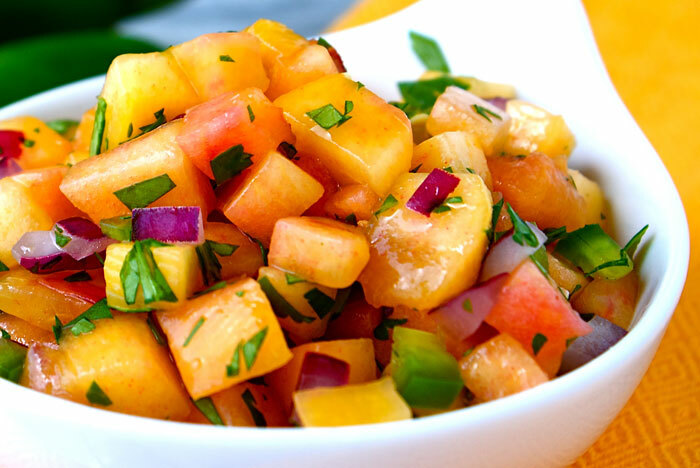 The heat of the jalapeno and bite of the red onion play nicely off the subtle sweetness of the peach in this summery salsa. 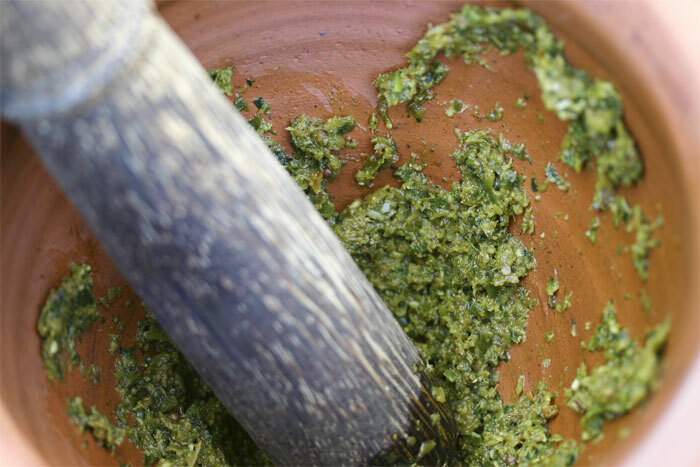 This versatile pesto recipe gets a spicy Asian spin with Thai basil, chiles, peanuts, and fish sauce. This is a good choice for an all-purpose curry paste recipe to add zip to Asian dishes. The delightfully complex flavor is superior to jarred curry paste. I first encountered this sauce at a remote resort in the Copper Canyon. It's simple, but deceptively flavorful. 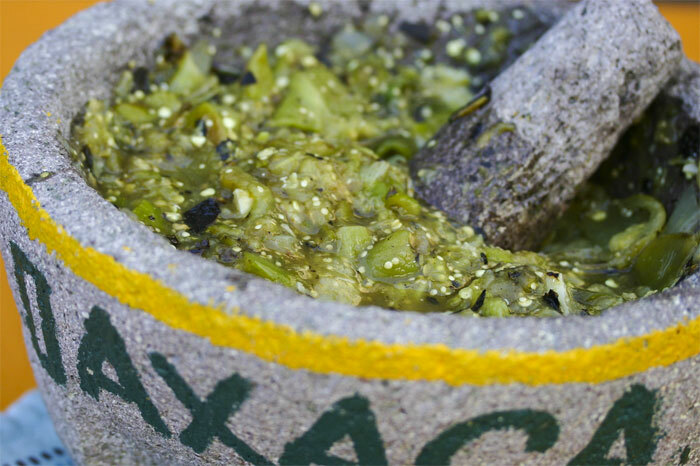 Use it as a rustic salsa or as a sauce spooned over grilled chicken. 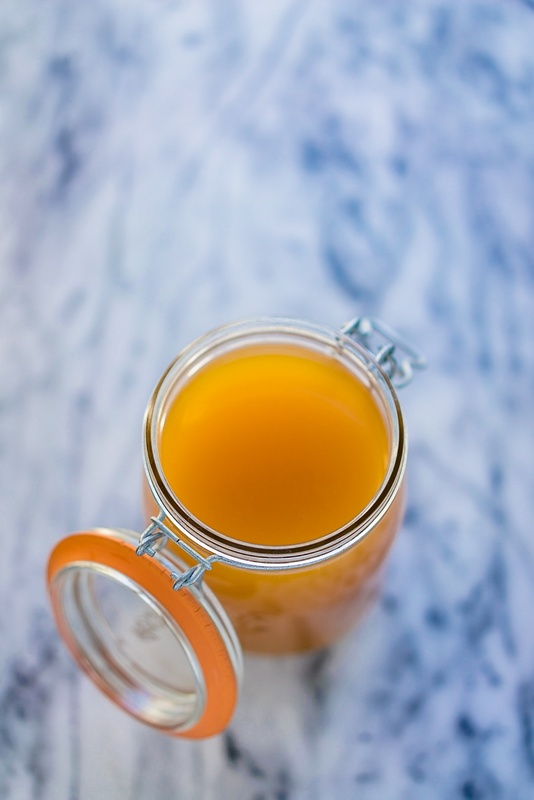 Homemade chicken stock recipe is easy to make and has a mellow quality that makes it particularly versatile in soups and sauces. 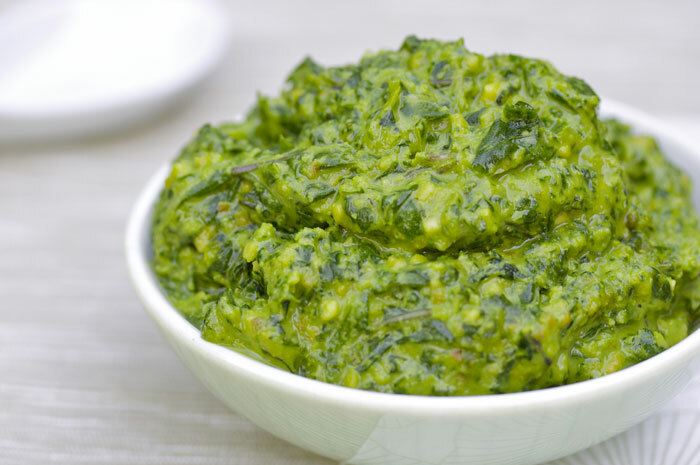 A super-simple dipping sauce great with everything from grilled artichokes to quinoa cakes. 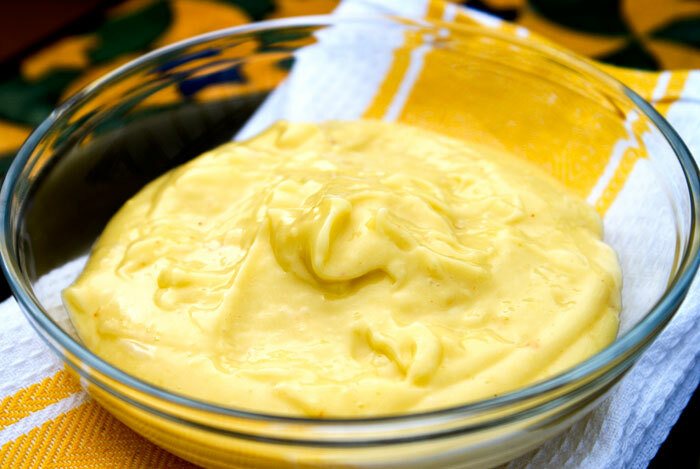 This homemade mayonnaise recipe is rich and tangy in a way that mayo from a jar can't duplicate. 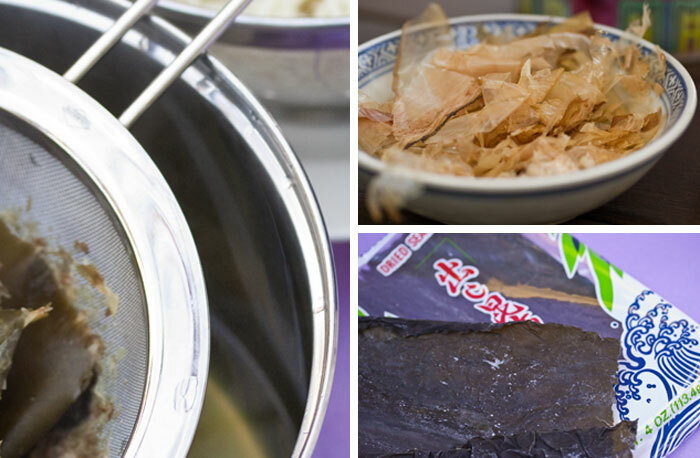 Dashi is about the easiest broth you can imagine, with a delicate yet complex flavor. All it takes is three ingredients and 10 minutes to make. This is a great gravy to use when you're grilling a bird and don't have a pan to collect the juices. A quick turkey stock made from the neck and giblets (removed before the turkey roasts) is enhanced by a nutty roux and brightened by a splash of apple cider. 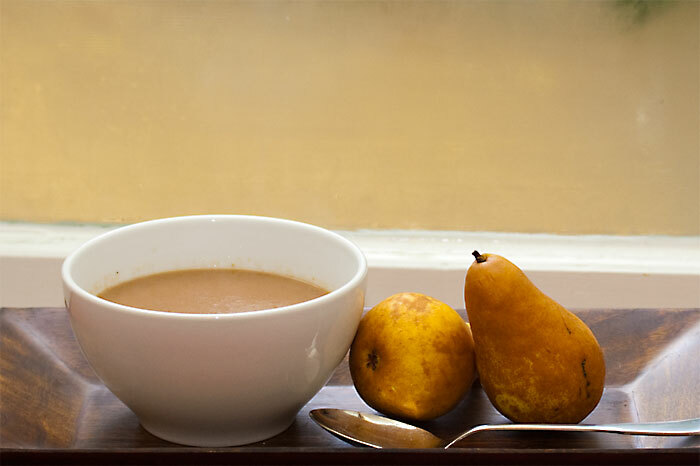 As Nickie says, "it's the perfect autumnal gravy." Grandma Friese was famous in our family for writing out recipes that began with things like “Take a bottle of cream…” without any indication, for those of us who grew up in the post-milkman era, what the size of a “bottle” might be. And that’s the way this recipe was originally handed down to me. She used to make these cranberries way ahead of time and let them ferment; they have quite a kick.